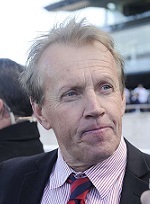 Trainer Jeremy Sylvester believes the best way his sprinter Three Sheets can prove himself a worthy contender for The Kosciuszko is by trying to match it with those climbing The Everest. 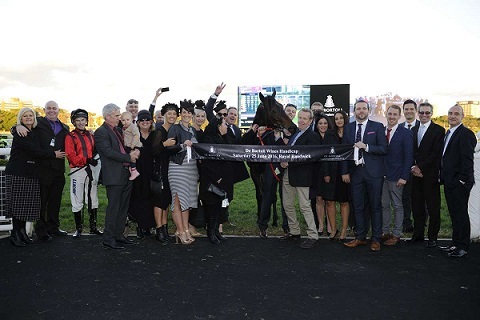 The Cessnock trainer was more than satisfied with his gelding’s performance to be beaten 4.3 lengths by Redzel in the Concorde Stakes (1000m) last Saturday, where he ran the third fastest last 600m of the race in 32.44 (Punters Intel). So he will again chase the reigning Everest hero, plus three or four other Everest contenders, in The Shorts (1100m) on September 15. That’s the day after the 12 Kosciuszko slot owners will be known and Sylvester says Three Sheets’ performance that day could make or break his prospects. “He’s running respectable races against top company and there’s no reason he couldn’t compete in the Kosciuszko given the opportunity,’’ Sylvester said. “This is the angle I decided to take by going into the better races and I’ve done that to try and put him out there, to lift his profile. Three Sheets cost Sylvester just $20,000 after he failed the strict requirements for transfer to Hong Kong having been purchased by the Hong Kong Jockey Club for $250,000. He’s collected that amount in prizemoney from 32 starts to date and has given an eclectic bunch of owners plenty of thrills. In 2016 he was runner-up in the Magic Millions Country Cup and collected back-to-back Randwick wins later that year. “There’s not too many horses that have won a Highway then won a Saturday race at his next start,’’ Sylvester said. “There’s a big group of owners, I remember when he won the Highway and it was a great day out for them. Some of the many owners in Three Sheets celebrate a Randwick win. (Pic: Bradley Photos). Prior to tackling Redzel, Three Sheets finished fifth behind Le Romain in the Group 3 Show County Quality (1200m) in a performance that prompted jockey Rachel King to describe him as an “ideal horse for The Kosciuszko’’. “The day he ran against Le Romain the best place to be was up on the fence and he was down the outside,’’ Sylvester said. Sylvester said he has purchased some tickets in The Kosciuszko sweep and if he happened to be drawn out then Three Sheets and his owners would be off to Randwick. And if that didn’t occur but a winning slot owner is interested he’d be more than happy to agree to a 50-50 deal for a shot at the $685,000 first prizemoney in the $1.3 million feature for country trained horses, as he says – “when is he going to get the chance to run for $300,000-plus in a race’’. Tickets in The Kosciuszko Sweep can be purchased for $5 at any TAB venue across New South Wales and online via the TAB app. The draw to decide the 12 slot owners takes place on Friday 14 September. Tickets for The Everest race day, featuring The Kosciusko, are on sale now.